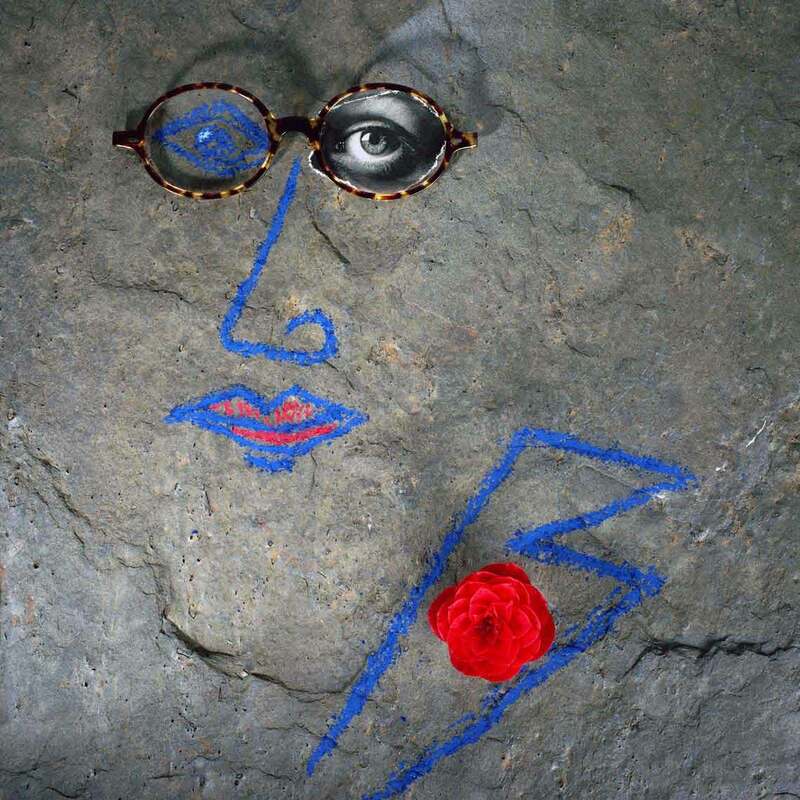 Camellia Man - Paul Biddle placed the glasses on a piece of stone and immediately decided to draw a face with ultramarine blue pastel and added a red Camellia flower head where the flower button-hole should be. The eye torn from a monochrome photograph is placed under the spectacle eye frame and looks out at the viewer. Shot on medium format film in one exposure.